Editor’s note: Moeed Yusuf is the South Asia adviser at the U.S. Institute of Peace and Thomas Lynch is a distinguished research fellow at National Defense University. The opinions expressed here are theirs alone, not those of their institutions or the U.S. government. U.S. peacemaking efforts in Afghanistan ultimately depend on a holistic, regional approach that mostly involves India and Pakistan. 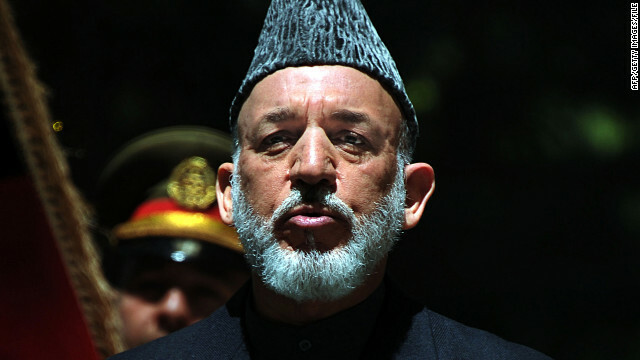 In 2014, Afghanistan faces both the drawdown of American forces and the election of President Hamid Karzai’s successor, both significant transitions. The bid to create a stable post-2014 Afghanistan can only go so far without dealing directly with the intense rivalry between India and Pakistan – vested neighbors and nuclear regional kingpins. Yet despite recent positive overtures between the two sides, Pakistan continues to be deeply troubled by an increased Indian presence on its western border, while India is adamant to prevent Pakistan’s complete hold over Afghanistan. The international community underestimates the explosive potential of the India-Pakistan competition in Afghanistan. Without intercession, the situation has the potential to become a brutal proxy battle with Afghanistan the venue for the 65-year-old India-Pakistan security competition. The two sides must therefore reconcile their concerns about each other – and their intentions for Afghanistan – to prevent disrupting intra-Afghan reconciliation progress and risking wider regional confrontation. Pakistani thinking on what is desirable in Afghanistan has moved considerably over the past decade. Although India remains dubious, most accounts indicate that Pakistan is no longer interested in backing the Taliban’s bid to regain control of Afghanistan as in the 1990s. Instead, Pakistan is concerned about “encirclement” by an India-friendly government in Kabul on its western border and historical foe India to its east. Given these fears, the Pakistani military-intelligence complex will continue to hold on to its proxies in Afghanistan as buffers against Indian ingress. Despite having a complicated – and not all positive – relationship with Pakistani intelligence, Taliban ethnic and logistical ties are likely to keep them sympathetic to Pakistani concerns about Indian encroachment in Afghanistan. India also has taken subtle but clear steps to hedge against the Western drawdown in Afghanistan and an assumed continued presence of Pakistani proxies. Over the past several years, senior Indian intelligence and military officials have cordially welcomed ministers and parliamentarians from the Karzai government, providing police, judicial, and limited, but increasing, military training. There also are reports of senior Indian intelligence and military officials – active and retired – meeting frequently with northern Afghan tribal and political leaders. Details of these meetings are sketchy, but they can be surmised as setting the ground work for long-term Indian economic and security support for these groups should a Western departure set the stage for a resurgent Taliban. India’s historic cultural and economic interests in Afghanistan collapsed during the time of the Taliban; New Delhi is resolved to prevent a return to that past. Since 2001, India has been the second most generous investor in Afghanistan’s economy. Candid discussions with senior Pakistani officials question why a majority of Indian projects are in relatively close proximity to the Pakistani border. If Pakistan chooses, it can exercise its near-unlimited potential as spoiler in Afghanistan in an effort to thwart Indian aims. Indeed, it appears prepared for this option if its concerns with Indian presence in Afghanistan are not addressed. The post-2014 American presence in Afghanistan will be most valuable only if it underwrites an agreed framework for India and Pakistan to talk through rather than conduct armed combat over goals, disagreements, and complaints about each others’ activities in Afghanistan. Two specific dialogues are required: an intelligence dialogue to allay mutual fears of the rationale and motives behind their political and security activities in Afghanistan; and a development dialogue to assure that vital economic and social development in Afghanistan does not come at the expense of legitimate security worries in New Delhi or Islamabad. Indian and Pakistani intelligence communities – with outside facilitation – will have to come up with set protocols for bringing specific complaints and a verifiable mechanism to allay each other’s fears of activities in Afghanistan. Privately, both sides accept the need, but the history of animosity between the intelligence outfits and petty bureaucracy has kept such an effort from taking off. On development, Pakistanis are less wary of general Indian presence than they are that a majority of the Indian-sponsored projects seem to them in proximity to Pakistan’s border. Concentrating Indian activity on the north and west of the country for future investment will likely be acceptable to Pakistan; Pakistanis of influence have noted this at a number of discreet track II dialogues. Given India’s post-2014 vulnerability in Pashtun-dominated areas close to the Pakistani border, the option may well be the best India can negotiate. All this means that U.S. policy makers need to think about the future of conflict in Afghanistan in a regional context with much more attention toward Indo-Pakistani competition there. For too long, Washington has shied away from tackling this obstacle head on. It cannot afford to do so any more: Afghanistan’s stability and wider regional security depend on a successful U.S. facilitation role to get these two South Asian nuclear powers to find common ground in Afghanistan. Next entry »What won't Europe sell? I'm really not a fan of India or its people. Worked in India while in Peace Corps. Definitely not the cleanest or nicest people to be around. From what I saw first hand, many are rude and arrogant, spitting on those who try to help their poor. Their caste system is just abominable. We in the US don't need them. So you were able to judge an entire population of 1.2 billion people based on your own observations? Indians from my experience are affable, polite, ambitious, etc. You sadly mistaken to think that the United States does not need Indians. Silicon Valley and the IT industry in the US were practically built by Indians. Do research before you make invalid statements. I though they ran casinos these days. I've always wanted to visit an Indian Casino on one of their reservations. Might win big! India is not the only player in Afghanistan. Apart from Pakistan. Iran and a few neighbouring countries in Central Asia are also keeping an eye on Afghanistan. Russia doesn't want a Taliban resurgence neither, as it is already fighting Islamist extermists in the Caucasus. What India might do is to rekindle its relationship with these reckless warlords, close to the former anti-Taliban Northern Alliance forces. oh on the other hand Pakistanis were so nice, they treated me with respect. They offered me goat curry and bread and tea. I will take my assignment in Pakistan next time. So your entire worth is just goat curry ? People like you will trade anything for goat curry. Mr Michelle,You are talking rather foolishly. Do you remember who betrayed you by kepping OBL on their own land? Which country's people attacked you on sep 11 2011? Who is killing American soldiers in Af-Pak? It seems you are joking!!! Before blaming India,Just have a look at your American universities,NASA,Silicon Valley and wall street inter alia. Your conclusions about India is one that is ridiculous and far from being realistic. Bangalore alone is holding the nerve of your American companies viz Cognizant,Oracle,Boeing,JP Morgan,Goldman Sachs,Ernst and Young. Do you need more? Indian engineers are helping you people to grow your own companies. We in India don't need you either. By your words, you show that the Ugly American is still alive and well. A lot of "peace Corps" people were nothing but CIA. Good riddance. Typical of unthinking and ignorant State & Pentagon, US comes in , gets out, comes in again into Afghanistan, and is planning leave behind a country whose very system has been distorted by US presence and its single-minded focus on Taliban (made by USA) and Al-Quaida. A once-proud country has been made into a weak one, depending on Aid , first by Russians, then by US and Nato. lol you can spot a Pakistani from a mile away. Posing as an American this time. One thing I notice is our government and the media often portray the people of Pakistan in a negative light. I have worked with and know many Pakistanis and they are the nicest, friendliest, most open people I have ever met. They are always joking and smiling, always offering to lend a helping hand. I only wish everyone could be as nice as our friends from Pakistan. Until recently they wouldn't even let people drink in their Cherokee Casinos. It was ok to smoke, but not have a refreshing vodka. It's hard to trust a people that doesn't drink. If they are friendly and smiling than what's wrong that they are killing each other on name of ethnicity, sect, religion – Pakistan is. A terrible mess – they are unable to fix their own problems but want a bigger role in Afghnistan – wow – Pakistan is meant to destroy not develop – if you don't believe have a look to Pakistan's internal crisis. So buddy tell me your real name? Bobby India is a fair weather friend. Not too long ago you guys were standing with Soviets fighting against the free world & now to take jobs away from ordinary Americans you act as if you have their best interest at heart. True chameleon you guys are. Again, reading history is very important. After being colonized for almost a 100 years by the British (in which they made India who accounted almost 30% of GDP prior to 1857 one of the poorest countries on the planet) it was only natural for India to pursue a socialist economic model as millions were left in poverty. India never fought with the Soviets they pursued the Non-Alignment Movement. India taking away your jobs? If anything the IT sector in the United States has expanded because of outsourcing under President Bush. Assuming if India was "stealing American jobs", that sir is the price of capitalism. If an Indian worker who is by far smarter than the average American worker in both math and science and is willingly to work for a lower wage, kuddos to that Indian! We,Indians know how many engineers your country is producing!!! You are nothing man!!!! What is wrong in being fair whether friend? Isn't USA doing the same thing all the time? USA has been supporting Dictators all the time. Hasn't USA sided with communist country ( China) against another (USSR). Politics and diplomacy has no place for such emotions. AT&T got a congressional reprimand and had to pay sanctions for bringing over so many Indian engineers to take US jobs. They would bring them over and pay them one third of what most engineers make. India is NOT our friend. They take our jobs. We must be kind to our Indian friends. They were here before the white man. We killed their buffalo. Took their land. Any smart country surrounding Afghanistan will not get a better deal than what has been planned for Afghanistan, which is to gradually have the Afghans to take charge and help them at a lower but sustainable level. This will protect everybody’s interests. On the other hand If Pakistan things that India controls Pakistan's influence in Afghanistan, they are mistaken. The Afghan people specially 60+ % young generation have now some sort of access to social media and they are able to see what every country has done and is doing in Afghanistan. IF Pakistan wants more in Afghanistan they need to help the young Afghans to get a good education and help the country to stabilize. Using proxies will not only work but it will and have backfired. I think it is the time to have some mercy on the poor Afghan nation who was used as a human shield to fight the soviets and than was left alone for destruction and suffering. If everybody pledges to quit Afghanistan soil, but help from outside, and keeps the promise, then Afghanistan would become once again a proud, self-sufficient nation. are either turning a blind eye towards these injustices or are being paid off to look the other way. We are particularly aware of the victims of such practices, namely, young children and women especially those women who are pregnant and are bearing a female embryo. They are being mistreated or simply sacrificed in the name of their deities. To the civilized world such atrocious behavior is repulsive and is condemned in the strongestwords. We urge the Indian Hindus to immediately cease and desist from such unacceptable norms. To them we say the world is watching and will see to it that justice prevails. I'm living in India but never come across such news of sacrifice of pregnant woman . infact when we walk we remain careful not to hurt any living thing . kindness ,forgiveness , helping the needy is the main basics of hinduism. The people of Afghanistan have suffered enough primarily due to the all the "help" their brotherly Islamic countries have thrown their way. It's time they climbed out of that hellhole that the Ummah has gifted them and lead lives free from radicalization with the help of India. Pakistan is rich in natural resources. It should concentrate on developing its economy , education, creation of jobs for young generation , eradicating corruption and solving the inter provincial conflicts. For that it needs peace with neighbors. Agreed, but not that history of East India company be repeated. Opening trade with India ! People have forgotten how British entered and ruled the subcontinent. That was also in the name of trade !!!!!!!!!!! How did the authors conclude that Pakistan is no longer interested in having a taliban regime in Afganistan. Why do you think Afghan government would blindly let India invest only in Pakthun areas instead of the other parts? Few years back Pakistan openly said they would like Taliban come back to power, they very soon realized that opinion does not go well with international community. They went back to what they have been doing best for last 65+ years, telling the world that our bigger neighbour has hegomonic designs in Afganistan and they would like to surround us etc.... It is fair for pakistan to expect a friendly country to it's west side. They need to understand that India is not going to keep quiet and get out of Afganistan. India does not want extremists back in power in afganistan. India would also like to make sure the Afgan military is secular and not pro-taliban. Unfortunately for Pakistan the common man in Afganistan hates Pakistan. Their country is being blamed for most of the terrorists activities in Afganistan. So their biggest concern is any legitimately elected Government in afganistan will be under pressure to be tough on Pakistan on terrorism. So it is easier for them to have puppet Taliban goverment and not have to deal with the unnecessary headaches. Faster Pakistan completely relinquishes it's association with extremist elements for it's so called strategic interests the easier it is for India and rest of the world to respect it's perspective. India does not even share a common border with Afghanistan. There will always be limits to what India can do. Let China, Pakistan, Iran and central Asian decide what should be done in consultation with Afghanistan. Does USA and NATO have common border with Afghanistan? Does Russia have common border with Pakistan? Did Britain have common border with India and Africa when she colonized these countries? India has vital stake in Afghanistan. Security of Kashmir and India is closely linked to what happens in Afghanistan. I find your lack of faith in India ... really disturbing !!! I must say a very poor analysis by authors. Take referendum in Afghanistan and you will know how they rate India and Pakistan. Countries like Pakistan and North Korea have nothing other than nusence value. They very basis of creation of Pakistan is flawed . How many Americans know that Pakistani was created on the basis of two nation theory according to which Muslims can not live with people of other religion. How can one expect normal behaviour from such countries. Only way to fix Afghanistan is to get tough with Pakistan, which has been supporting terrorists and insurgents in Afghanistan since last decade to achieve its petty goals. Pakistan since long time has been working against US efforts in Afghanistan and conspiring against US and NATO there. Pakistan doesn't want a peaceful and progressing Afghanistan, WITHOUT a role of Pakistan in the peace process. This is the sole reason it has continuously been interrupting and conspiring against the Afghanistan peace process. It wants the future Afghanistan to be totally dependent on it. Pakistan's dirty agenda for Afghanistan is to keep it unstable and in turmoil until Islamabad is sure that it has got a puppet regime in Afghanistan which it can play and tweak as per its needs in South Asia. Pakistan has for long time working and waiting for this situation. So far it has been unable to achieve that as Afghans hate Pakistanis a lot and even common Afghan's know that Pakistan is playing a dirty game inside their country. Afghanistan government and its leaders have several times angrily warned Pakistan to stop the cross border terrorism and stop the terrorists who cross over to Afghanistan from Pakistan everyday like they are walking in Disney park, to which Pakistan normally lends a deaf ear for obvious reasons. All Pakistan is focused upon is befooling the world in the name of war on terror, making money, keeping Afghanistan unstable and violent. La mayor selección de camisetas de fútbol baratas a la venta con camisetas de La Copa Mundial de la FIFA Brasil 2014,Liga LFP,Premier League,Serie A,Bundesliga.Sólo vendemos camisetas de fútbol calidad alta.